James & Jeffrey Antiques and Dorothy Draper Collaboration for "Chair-ity"
Behind the scenes news from one of West Palm Beach's favorite antiques shops. It was a day of fashion. But it also was of learning and reflection. The annual Rita Hayworth Luncheon in Palm Beach was held March 10, 2017, at The Colony Hotel. The event supports the Alzheimer’s Association in its efforts to raise awareness, advance research and advocate for those affected by the disease in both the Florida area and nationwide. This year’s luncheon included a fashion presentation from Naeem Khan, as well as featured speaker Heather M. Snyder, Ph.D., senior director of medical and scientific operations, Alzheimer’s Association and Holly N. Cukier, Ph.D., research assistant professor at the University of Miami, Miller School of Medicine. After watching loved ones face Alzheimer’s disease, co-chairs Princess Yasmin Aga Khan and Carleton Varney felt compelled to turn their experiences into a positive force for good so that others would not have to face this disease alone. Their hope is that this annual event will be a spark of inspiration in bringing together many voices to fight Alzheimer’s. That is our goal, too. 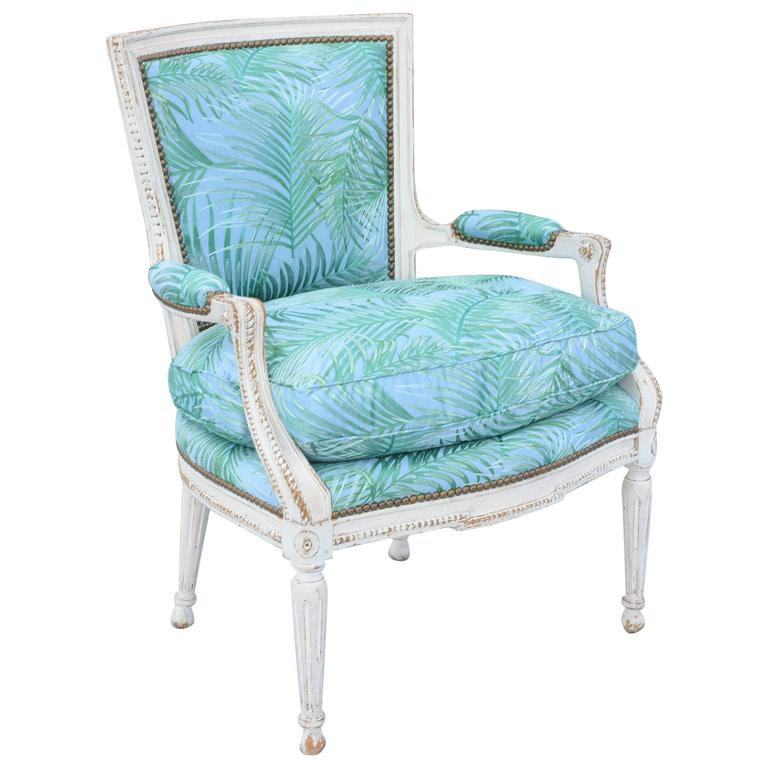 That's why we donated this Louis XVI armchair for auction at the luncheon. We think it was a winner, from the top of its squared, padded back to its tapered legs that end in ball feet. It was made in France in the 19th century and has a natural aged finish to prove it. But it was updated with aqua "Robellini" fabric — by Dorothy Draper, of course. And we hope the money from its sale will help prevent and find a cure for the scourge that is Alzheimer's.